Riches await in the waters of the Sea of Cortez. Not pirate's gold, but something even more precious: one of the world's richest marine ecosystems. All that is needed to enjoy these submerged treasures are a mask, snorkel and a sense of adventure. Boats departing from the port of La Paz give access to coral reefs teeming with life, blue waters where whales and dolphins play, and a chain of uninhabited islands that are home to raucous and playful colonies of sea lions. Even more exciting are chances to swim with the biggest fish in the sea, or get a breathy “fish kiss” from a month-old baby whale. 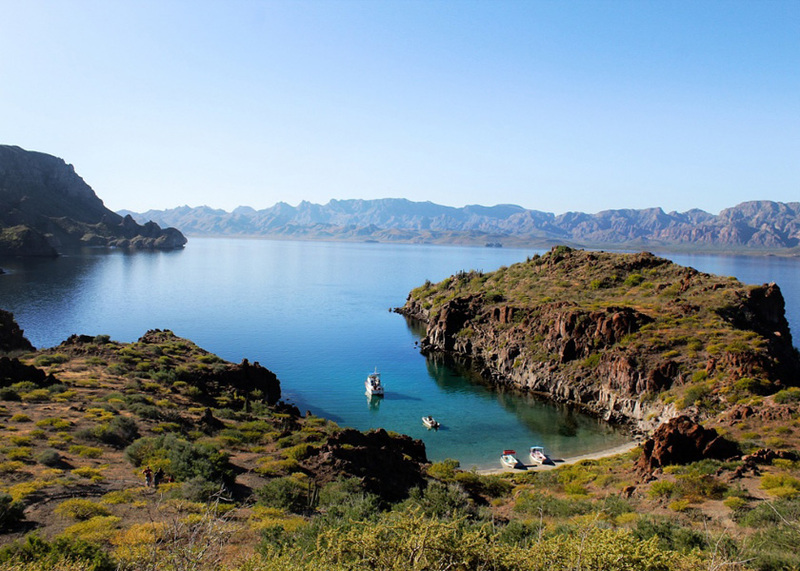 The city of La Paz is the gateway to the Espiritu Santo island group, and what is generally considered the best snorkeling in the Sea of Cortez. A combination of coral reefs and rock ledges provide habitat for a wide range of resident marine life, along with migratory species such as manta rays, whales and dolphin. There are several snorkel beaches near La Paz and at Cabo Pulmo where you can enter from shore, but the area's prime sites—including the places where you are more likely to see big marine life— are reached by boat. If time permits, the best are the all-day trips to the islands that include some beach time and lunch. The waters around Isla Partida are home to more than 4,000 different species of marine life, including dolphins, whale sharks and whales. Cabo Pulmo Marine National Park has been called the most successful marine reserve in the world. Just a short boat ride away from La Paz are Balandra Bay and San Rafaelito, where coral reefs are found in calm waters close to the beach. Playful sea lions greet snorkelers at Los Islotes. Most snorkel tours include equipment, but you are welcome to use your own gear. Bring or rent a wetsuit for winter swims, as waters in the Sea of Cortez can drop to 70 degrees or below. For longer boat rides, fill a compact and water-resistant day pack with sundries such as sunscreen, towels, and possibly a dry change of clothing for beach time and the ride back. LORETO - 7-NIGHT SNORKEL PACKAGE includes 7 nights standard room accommodations, 5 days of snorkeling equipment, snorkeling or dive guide, snacks & soft drinks during the tours, welcome drink, breakfsat daily, one sunset dinner on the beach, roundtrip airport transfers, hote tax and service charges. LOS CABOS - BUILD YOUR OWN PACKAGE includes 5 nights Royale Deluxe Resort View accommodations, breakfast, lunch and dinner daily including premium alcohol, $1,500 resort credit to be used on select tours, golf, spa, dinners and Le Blanc Memories (16% tax to be paid in cash on-island for services rendered), complimentary roundtrip airport transfers from San Jose Los Cabos airport, hotel tax and service charges. Option to add-on Pelagic Safari Snorkel tour. BAJA - BUILD YOUR OWN PACKAGE includes 7 nights Superior accommodations, roundtrip airport transfers, hotel tax and service charges. Options to add-on Snorkel Tours with Sea Lions or Whale Sharks. LORETO - Located in the Historical Center of Loreto, Baja California Sur. Offering an excellent location, a few steps away from the Our Lady of Loreto Mission and two blocks away from the seaside; as well as comfortable facilities and its proximity to restaurants, bars, shops and galleries. 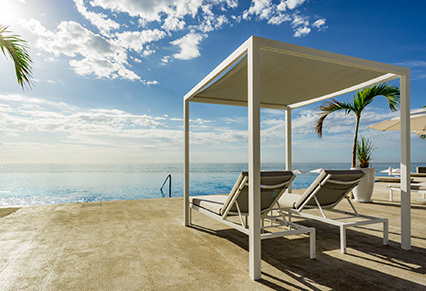 LOS CABOS - A romantic beachfront dream comes to life at Le Blanc Spa & Resort Los Cabos. Take a couple's getaway and bask in a sun-kissed oasis that caters to your every whim with world-class cuisine, top-shelf wine, spirits, and beers, and other posh amenities. Not just for the beach, sun, spa, and delectable dining, but for the memories that live on, long after you depart. 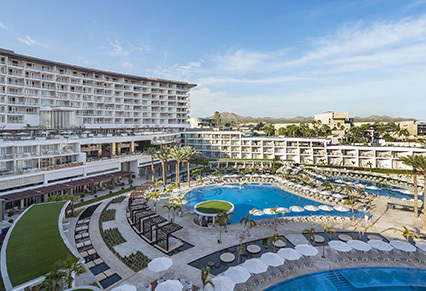 This is Le Blanc Spa Resort Los Cabos, an oasis of luxury on the Baja Peninsula. Experience a new frontier of opulence where everything is included and utterly unforgettable. 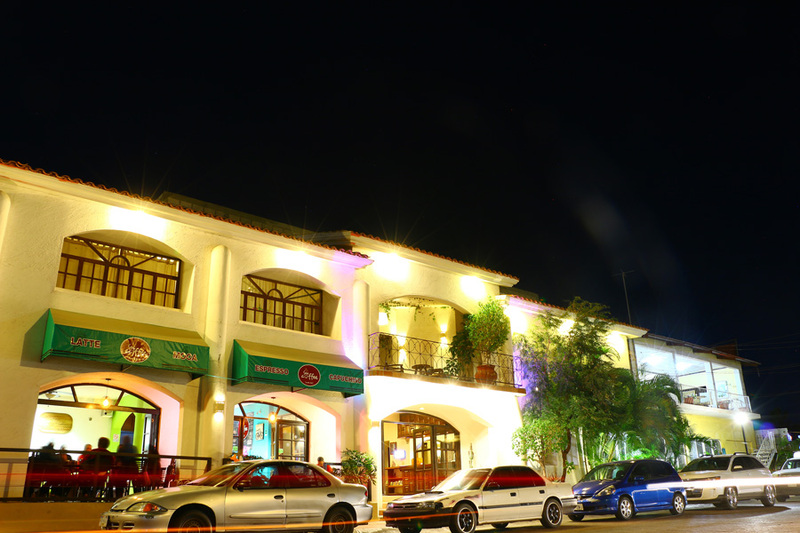 LA PAZ - Club Cantamar, located along the coast of the Sea of Cortéz, is the result of 23 years of continued operation and management by the Aguilar family. Today, Club Cantamar features a top notch marina facility and an impressive fleet of dive boats providing easy access to the incredible sites in the Sea of Cortez. The 50-room beach resort was built by divers, for divers - including a recompression chamber on-site, gear lockers, swim-up bar, and great food served in a seaside restaurant, while still having plenty for non divers including Whale Shark encounters, whale watching and snorkeling with Sea Lions. 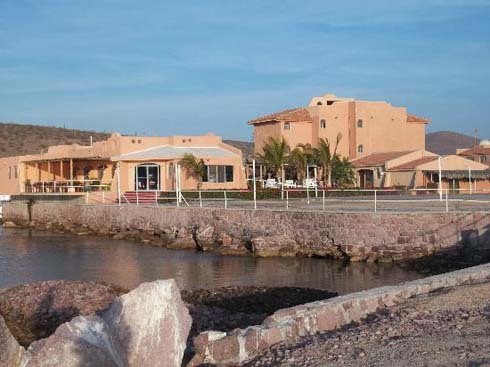 BAJA - Located just 10 minutes away from downtown La Paz, La Concha Beach Resort has a peaceful and mellow atmosphere in front of the Sea of Cortez. 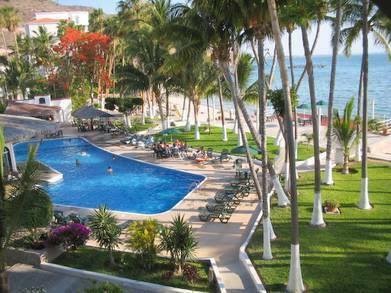 Facilities include beach, swimming pool, restaurant, watersports facility and spa. Entry Requirements: All U.S. citizens are required to present a valid passport. Visas are not required for stays of less than 180 days. Exit Requirements: All persons leaving Baja, pay a Government Departure Tax of approximately USD $45, which should be included in your International ticket. Vaccinations are not required for entry into Mexico. Check with your doctor and the Centers for Disease Control on recommended vaccinations for travel at Health Information for Travelers to Mexico. There are two distinctly contrasting social facets to the Baja Peninsula—one traditional, the other international. Most visitors know the vacation pleasures of the cape, where sun worship and nightly celebrations set the tone, and the party never stops. This is one of North America's favorite getaway destinations, home to every manner of indulgence and recreation. But venture beyond the cantinas and shops of Cabo San Lucas, and the posh resorts and golf courses of San Jose Del Cabo and you will discover a very different side of this sunny land. Here. the traditional culture of Baja is shaped by the region's remoteness, arid landscape and ties to the sea. These factors have forged a people who mix proud self-reliance with a spirit of cooperation and generosity. Here, in coastal cities such as La Paz and quite fishing towns, strangers quickly become amigos, the small details of life are celebrated each day, and even hardships are met with a smile and a shrug. Glimpses of this lifestyle are revealed with a walk along the Malecon in La Paz. Here, families gather in the evening to enjoy cool sea breezes, which may carry the sounds of music from the town bandstand and the scent of fresh-grilled fish or lobster offered from a street vendor’s cart. Electricity in Mexico is 120 volts, 60 cycles, no adapter will be needed for U.S. visitors. The country code or Mexico is 52. Check with your mobile provider for long distance plans and costs. Internet service is available at many hotels, restaurants and shops. Most restaurants and bars in tourist locations use purified water. Outside of resorts, be cautious with ice in drinks or vegetables which have been washed in tap water. Bottled water is available for purchase and is recommended for drinking and brushing your teeth. Spanish is the official language of Mexico, but English is widely spoken in the populated areas. The local currency is the Mexican Peso (MXN). Merchants and businesses are no longer allowed to change U.S. dollars to pesos. That may be done at a currency exchange office. U.S. Credit Cards are widely accepted for purchases in stores and restaurants. Baja is on Mountain Time and observes Daylight Savings Time. Baja is 7 hours behind Greenwich Mean Time (-7 GMT during Mountain Standard Time or MST) and 6 hours behind Greenwich Mean Time (-6 GMT during Mountain Daylight Time or MDT). Baja is the northernmost and westernmost of the 31 states of Mexico. It has an area of over 27,000 square miles or approximately 3.5% of the total land mass of Mexico. The mainland portion of the state has the Pacific Ocean to the west, California to the north and the Gulf of California to the East. The population of Baja is 3.32 Million (2015).